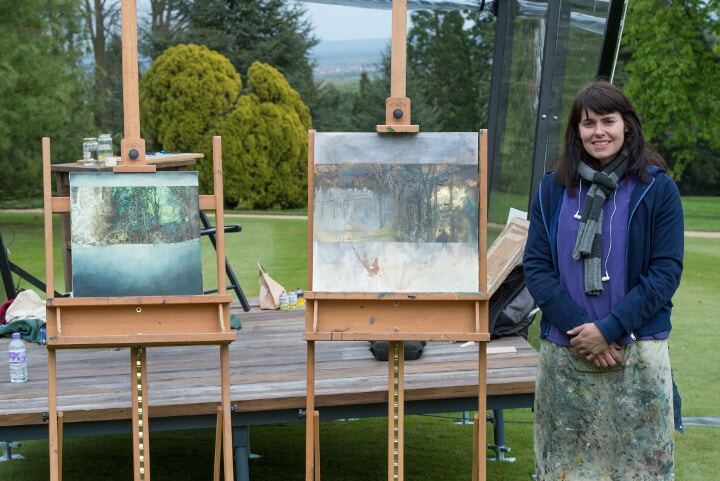 It’s official – Nerine Tassie is the first winner of Sky Arts Landscape Artist of the Year! Based in Scotland, Nerine studied painting at the Edinburgh College of Art, graduating with a Fine Art degree in 2002. 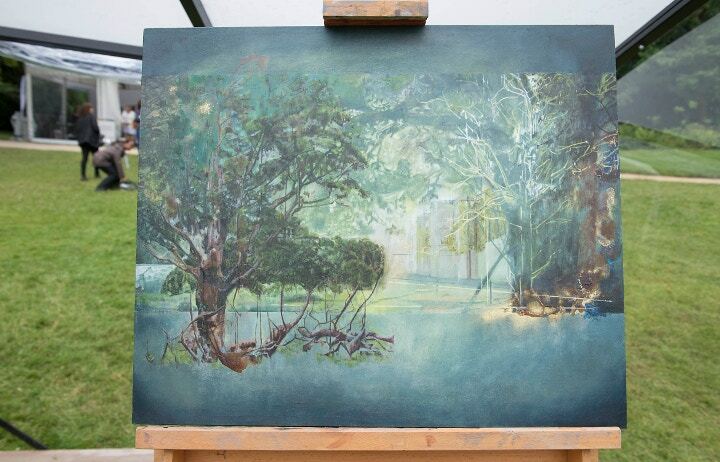 Inspired by natural spaces and the coast and wood that surround her home, she was a natural all throughout the landscape competition, and after winning her heat at Waddesdon Manor, went onto wow the judges once more in the final at Stour Head in Wiltshire. Painting under her maiden name of Tassie (despite being referred to as Nerine McIntyre on the show), Nerine's intricate paintings experiment with composition, textures and different materials to create a depth and atmosphere beyond the image on the canvas. Here at Cass Art we want to give a huge congratulations to Nerine, who has won a year’s supply of art materials from us as part of his prize, and a £10,000 commission that will be added to the National Trust's permanent collection. We caught up with Nerine at our Cass Art Glasgow shop to find out more about being featured on the Sky Arts show and to hear about she got into landscape painting. Hi Nerine! 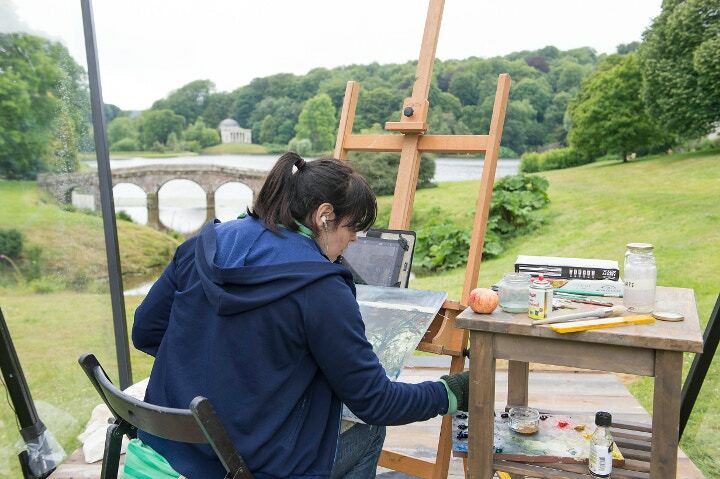 Huge congratulations on being crowned the first Sky Arts Landscape Artist of the Year. How does it feel? Thank you, it feels amazing, I’m still in shock! The competition has taken up most of my year so I feel like I’ve really been able to build momentum with my painting. Then to win on top of that was fantastic! There was such a diversity of style from the other artists in the competition and I just feel really privileged to have won considering the talent of the other finalists. What was your favourite part about being on the show? It was really special being able to visit Flatford for the winning commission. My grandparents had a print of the Haywain hanging in their home and it was lovely being in Flatford surrounded by the landscapes of Constable which seemed so familiar. I was also really excited to be able to view the collection in the Victoria and Albert Museum. I’d never been to the V&A before and to be able to view the Constable collection in private for my first visit was an amazing experience, I felt quite overwhelmed by it at the time! You won a year’s supply of art materials from Cass Art as well as the commission for the National Trust – what art supplies will you be stocking up on? I like the viscosity of the Georgian oils but also enjoy using Winsor and Newton oils depending on my colour choices, so I’ll definitely be stocking up on these. I’ve also started experimenting more with Montana Spray Paint in some pieces. How did you get into landscape painting in the first place? I’ve been painting landscapes since my first year at Art College, though at that time I was making more abstract pieces where I was exploring the textural surfaces found within nature. This is where I began experimenting with a wider variety of materials rather than just oil or acrylic. I was focused on the alchemy between materials, and the textures and effects I could produce. This is still something I’m very much interested in but over time my style has evolved so there’s more of a representational element to parts of the work as well. More recently I’ve been exploring the relationship between composition and frame within each painting, experimenting with this balance in order to create more depth of focus for the viewer. Natural spaces and forms inspire me, in particular the coastal waters and woodlands close to my home. I really enjoy the changeable quality within these natural spaces in terms of light, form and colour and I always try to create a strong sense of atmosphere and connection to place when studying these subjects. I’m also still very much inspired by the alchemy of paintwork so I’m constantly experimenting with a variety of materials in order to develop new experiences within each painting. What advice would you give someone wanting to get into painting? Paint as much as you can - the more you practice and paint the more confident you’ll become! Readily experiment with materials and don’t be afraid to take risks within your work, it's all part of the creative process! I also think working alongside other artists is a really good way to expand your subject knowledge and develop your practice so any opportunity to do this is great experience. What are your plans for the future, and what will you be taking away from Sky Arts? Working in this competition has really driven me in terms of my own practice, I’ve never been so busy with enquiries and commissions! I really want to focus on keeping this momentum and developing a strong body of work to take to exhibition next year. I feel so grateful to Sky Arts as they’ve given me a platform where I could communicate my art and style to a much wider audience than I could have ever imagined. The programme really focused on the artwork and the diversity of talent within the competition. It reminds you as an artist to celebrate differences in style and opens your eyes to new ways of seeing artwork. It was a really exciting process to be part of! 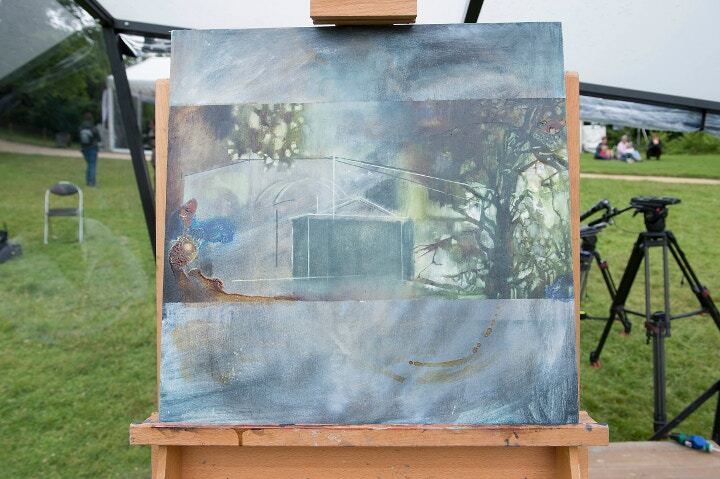 Watch a time lapse of Nerine working on one of her Sky Arts paintings below. You can watch the winner's film of Nerine next Tuesday on Sky Arts at 8pm, and read our heat winner's interview with her here. 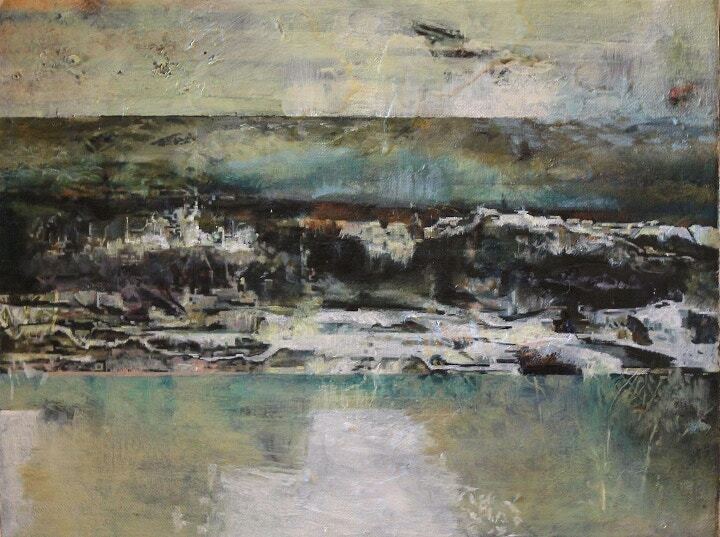 Visit Nerine Tassie's website here to explore more of her landscape paintings.